When you begin a fresh job, there is a lot to learn and not just how you will do the job you have been hired for, but also understanding your employee benefits is very important. Retirement benefit, aka 401k, is the longest lasting benefits you will need to know about. 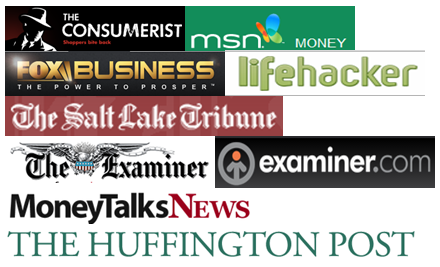 Before you are even hired, you should ask your employer, do you have a 401k plan? One of the main reasons I joined my employer was their 5% match to 401 (k) plan. Which is now at 6% and expected to go higher in next year or two. That means if I contribute at least 6% of my paycheck towards 401k my employer would match the same amount. This is the free money you don’t want to lose out. Once you are short-listed for the job offer, most employers will inform you about all their benefits, including the 401k plan. The 401k plan is one of the overwhelming majority of the retirement plans provides by most companies today. These days 401k is the primary retirement savings vehicle. If you haven’t noticed, pensions are becoming very scarce these days, and social security is only the supplement to your source of income after you retire. So, obvious to say that asking all the questions about 401 (k) benefit is the right thing to do. It’s true that companies do not change their 401 (k) policy for a specific employee but there are marked differences across employer on this aspect. my previous employer didn’t have any company match what so ever. Whereas the current employer not only matches 6% of my contribution, they also transfer annual profit-sharing contribution to 401 (k) plan. Does the employer contribute to my 401k? This should surely be your first question to ask. Many employers try to motivate their employees to contribute to their 401k plans by providing for matching a certain level of contributions up to a particular percentage of income. For instance, an individual company might willing to contribute up to 3 percent of your income to your 401k account, but only and only if you are also ready to contribute 3 percent of your income out of your paycheck. If you do not think you are capable of contributing since the money is tight, at least try to contribute as much as the employer is willing to match. That is why it is very crucial to learn and understand precisely how your own employer’s matching system operates. And if you find that your employer does not have a matching contribution system, you can request them – this might inspire them to add one. What are the fees charged to me, as an employee? All the 401k plans charge asset-based fees which impact your investment return as well as your long-term financial goals. The prices might be terrible to calculate since you do not pay them directly. You should know that the administrative fees for the 401k plan itself may be built into investment specific fees, might be paid by your employer or may be charged directly against the assets in your account. In this case, you should request your employer about your fees of the 401k plan, as they should be able to provide you with a full explanation. this question will determine how much freedom you’ll have to pick your desired investment within very limited options a typical 401 9k) plan offers. There are typically a limited number of investment options available, and they usually come in the form of ETF (Exchange Traded Funds) or target date mutual funds. You may also choose stocks if they offer, but there may not be any other stock than your company’s stock. There may also be bonds and GICs (Guaranteed Investment Contracts). In case you don’t like the investment options provided by your employer, you can transfer a certain percentage of your plan into another retirement account. This is referred to as a partial rollover. Inquire if a partial rollover is allowed. When do I become vested? Or what is the vesting schedule? Any amount you accumulate to your 401k plan is always 100 percent yours, even if you leave your job. However, the contributions made by your employer will be subject to the vesting needs. There are typically two types of the vesting schedule: graded vesting schedule and cliff vesting schedule. With the graded vesting schedule, the finds vest over time. For instance, after a year, you may have vested 25 percent, then 50 percent the following year, and so forth until you are fully vested. But with cliff vesting schedule, the contribution of the employer is 0 percent vest until you have spent a specified amount of time on your job – it can be after two years or so – at which point it becomes 100 percent vested. The best part is that either way, when you are fully vested, all the contributions plus your employers in the plan, are all yours and you can take it with you after quitting the job or even retiring. When can I have access to my savings? Since the 401k saving is for your retirement, you would not be able to withdraw your money for frivolous purposes. However, if you are finding yourself in an emergency or need urgent access to your funds, you may be able to withdraw the savings from your account. The terms regarding the type of emergency are determined by your employer and hence it is in your interest to know about these terms beforehand. Usually, most 401k plans categorize cases such as specific medical bills, university tuition, crucial home renovation or down payment, death or burial costs, handicap, etc. as possible emergencies. Do note that making withdrawals from your 401k account before your retirement (59.5 years of age) will make you liable to a 10 percent tax on the distribution. Unless you take a loan and pay off the loan from your paycheck. The withdrawal is basically not considered as a debit but is given as a loan to you through an agreement, meaning that in essence, you are borrowing from your savings account. The limit to withdraw is set at $50,000, or fifty percent of your account’s amount (whichever is lower in your case). How Complete is the Investment Lineup? Small-cap equity fund – fund focused on the small companies with high growth potential but higher risks. A well-diversified portfolio normally consists of a mix of different types of equity as well as income funds since they each perform differently depending on a market cycle. It can also include alternative investments. 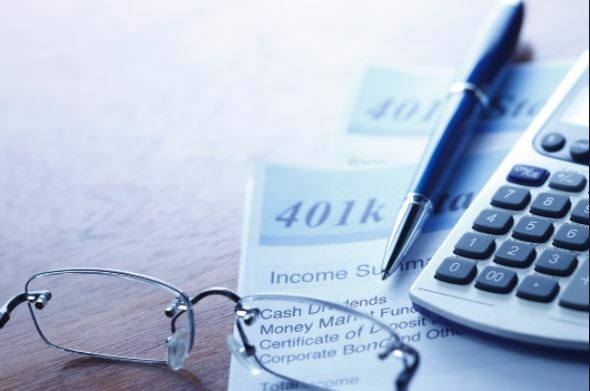 If you find yourself concerned with or unsatisfied with the 401k plan offered by your employing company, you may have other options, including the Roth option to the 401k plan to look in to, without having to look for another employer. Especially if their salary is higher than other employers. The main difference between these two plans: Roth and Non-Roth plan is that in the non-Roth plan, you will have to pay taxes during the withdrawal, but not on the contributions and growth. But with Roth plan, it is precisely the opposite, as you will have to pay taxes on all the contributions, but it is tax-free during withdrawals, even on the earnings. Remember, in both Roth and Non-Roth plans, your money grows tax-free while it is in the account. Thus, selecting one of the two accounts primary depends on your income tax bracket now versus how it will be in the future. So if you expect that your tax bracket will be higher in retirement than it’s now, the Roth plan would be the better option to go with. When it comes to withdrawals for both plans, there is also a significant difference between the two. With Non-Roth plan, you are needed to begin taking out required minimum distributions (RMDs) upon reaching the age of 70 ½. But with the Roth plan, you’re not mandated to make any withdrawals during your lifetime. Thus, if you do not want the money, it will continue to grow in your account – tax-free – throughout your lifetime. Hence making the Roth plan an excellent wealth transfer vehicle. Base salary is, of course, important but you shouldn’t compromise on your retirement benefits as well. 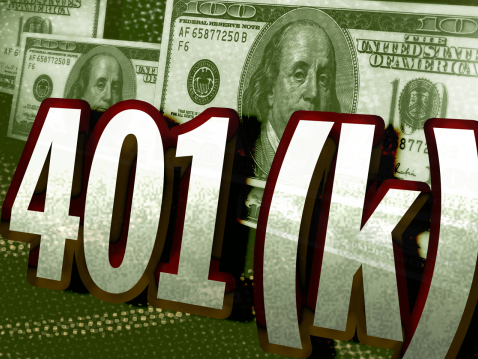 Now you know what to look for and what to ask for in your potential new employer’s 401 (k) plan. Go ahead and safeguard your retirement today! About the Author: This was a guest content from Daniel Williams founded Wallet Genius in 2016 with the goal of adding a new twist on personal finance—one that’s focused on analytics, optimizations, and proper financial education. Daniel grew up in the Bay Area, California and has been playing with financial data pretty much all his life. In middle school, he started buying and selling stocks, and in high school, he started his first small business selling comic books to his friends. In college, he studied computer science. He’s since worked at several tech companies, primarily at the intersection of tech and personal finance.